The latest Holiday Expressions mini catalog from Close to My Heart is all about the upcoming holiday seasons. It’s filled with items for card making, gift packaging, scrapbooking and jewelry making with clear stamp sets, embellishments and pattern papers. You’ll find spooky items for Halloween, like steampunk spiders, cute kids dressed for trick or treat, labels and tags for treat jars and candy bags. There’s nature inspired wreaths, pumpkins and leaves for fall and Thanksgiving. As well as cute, traditional and whimsical style items like Santas, penguins, nativity, phrases, woodland animals and trees for Christmas and winter. I was excited to try out some of the new Close to My Heart products and for this first review I wanted to focus on Halloween since it’s coming up soon. 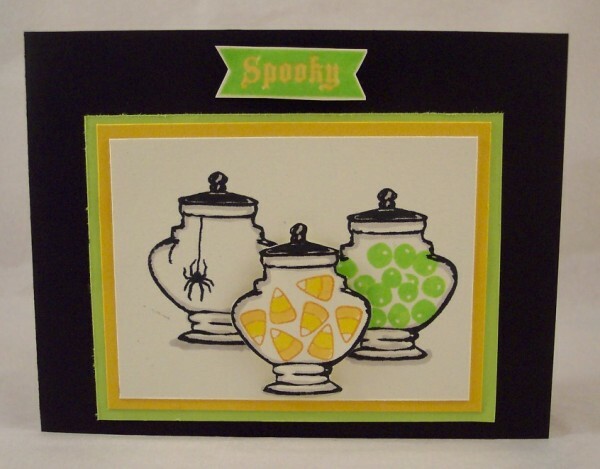 For my first card I used the jar, spider and “spooky” flag from the Pumpkin Chevron stamp set. The rest of the images are from the Nevermore Complements which includes 2 fun sticker sheets, black and white printed acetate designs and lots of black and color images on kraft paper. 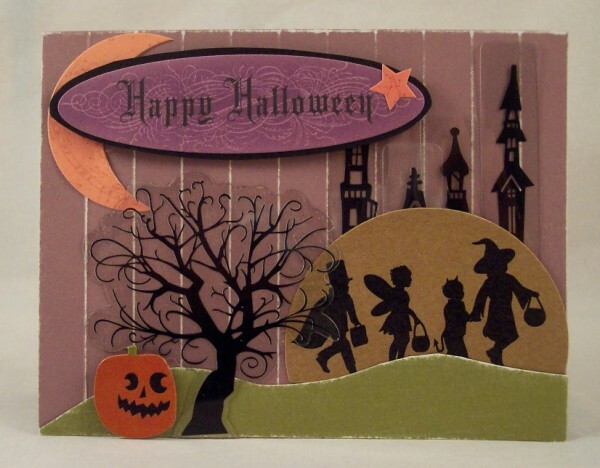 There’s enough to make many, many cards, treat bags and scrapbook layouts for Halloween. Next I again used the jar from the Pumpkin Chevron stamp set, stamping it 3 times and filling one with the candy corn and another with a spider from the same set, for the third jar I used some berries from the Harvest Wreath stamp set, stamping them in green so they looked like creepy eye balls. I added some shading with a grey marker and added the “spooky” flag at the top. I think this scene looks like what a witch would have sitting on her shelf for making potions. One of my favorite things about Close to My Heart’s cardstock is the white core, you can emboss or score it and then sand it so the white shows through. For the base of my last card I scored lines on the purple cardstock and then lightly sanded it. I also cut out a hill from green cardstock and sanded it too, I love the distressed look this gives! 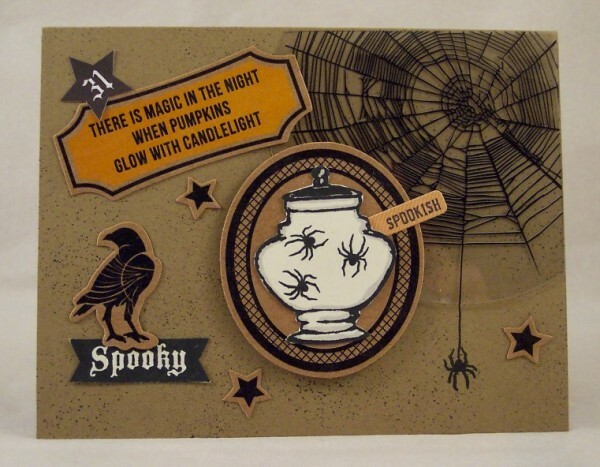 All the embellishments and images on this card are all from the Nevermore Complements pack. I hope you’re enjoyed my first look at the new Holiday Expressions mini catalog from Close to My Heart, click the highlighted link to view the entire catalog. Contact your local consultant to place an order or if you don’t have one visit Close to My Heart and click on “find a consultant”. Check back with me soon for Fall, Thanksgiving, Winter and Christmas ideas using more new Close to My Heart products. LOVE Close to My Heart products! CTMH has great products and prices are excellent!